Losing the first ODI to the Aussies doesn't hurt so much when you have your lady love by your side. Anushka Sharma has spent a lot of time Down Under these past weeks as her husband led India to a historic Test series triumph in Australia. 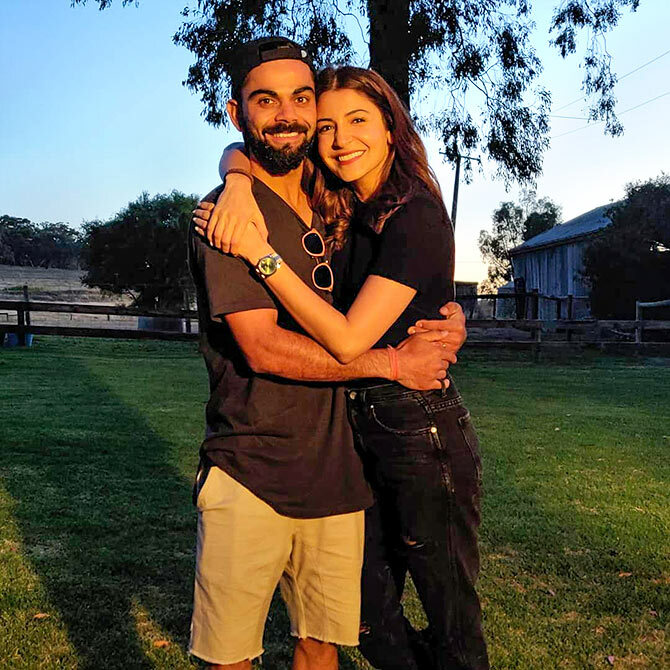 Anushka and the skipper spent Sunday in the beautiful Australian countryside and they clearly had fun spending time with the horses. Anushka shared some Instapic, captioning them, 'Days like these'. Another couple pepping up their Sunday with romance was Anushka's Dil Dhadakne Do costar Farhan Akhtar and Shibani Dandekar. Farhan posted a pic of Shibani (who is Aussie incidentally) and him in the pool, declaring: 'As long as I have you, As long as you are, I'll never be lost. Shine on beautiful star @shibanidandekar love you loads'. Now, that's how you make your lady feel special, no? Did Ranveer, Katrina, Varun like Uri? Mr and Mrs Jonas burning it up!